MAY GODDESS OF LEARNING SRI SARASVATI BLESS YOU. Dear students, here are ten Golden Points to bring success in life. Best of luck. 1. “Take one idea. Make that one idea your life; think of it; live on that idea. Let the brain, muscles, nerves, and every part of your body be full of that idea, and just leave every other idea alone. 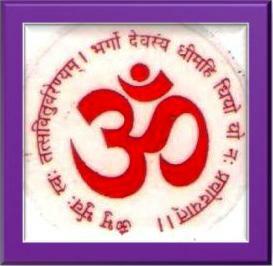 This is the way to success.” says Swami Vivekananda. You must fix short term as well as long term goals of your life and give direction to your mind. 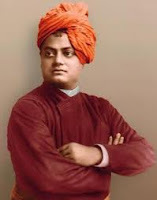 Keep in mind what Swami Vivekananda said: “Arise, awake and stop not till the goal is reached”. 2. Swami Vivekananda wanted young men to have ‘muscles of iron and nerves of steel’. So you should do vigorous physical exercise daily and also take nutritious food to make your body strong. It is said that healthy mind is in healthy body. 3. Pray to God and study scriptures like the Gita, Gospel etc. and also read life stories of great personalities like Sri Ramakrishna, Swami Vivekananda, Ramana Maharshi etc., to draw inspiration. 5. 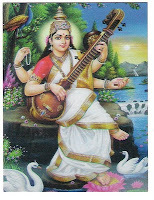 Daily practice Meditation and chant Gayatri mantra [CLICK BELOW VIDEO TO LISTEN GAYATRI MANTRA] in the morning and evening to increase your concentration and will power bring greater success in you life. 6. Know that study is your Swadharma and fulfilling it properly is a way of worshipping God. 8. Cultivate your special talents like art, music, singing, dancing, writing of articles, stories etc. that is prominent in you. It is necessary to find a channel for your creativity in a useful and productive way. 9. At any cost avoid bad company, literature etc. and select some one to share your feelings, joys and sorrows of your life. Do not spend too much time for medias and entertainments. 10. Do not forget the golden words: “Early to bed and early to rise make man healthy, wealthy and wise.” Prepare a Daily Routine and follow it sincerely. Swami Vivekananda, the enchanter and inspirer of youth reveals the secret of success. One who reads his inspiring words will find a way to come over his/her failures and achieve great heights in life. Being an ideal for youth, his birthday is celebrated as National Youth Day by the Government of India. ﻿“One of the greatest lessons I have learnt in my life is to pay as much attention to the means of work as to its end… It appears to me that all the secret of success is to pay as much attention to the means as to the end. “Our great defect in life is that we are so much drawn to the ideal, the goal is so much more enchanting, so much more alluring, so much bigger in our mental horizon, that we lose sight of the details altogether. It means the whole nature or character of a person. Then, what is character? Actually every action and thought leaves an impression in the mind. These impressions mould our behavior. The sum total of all these impressions determines our character. It is obvious that the past thoughts and actions determined the present character and our present thoughts and actions will mould our future character. This is the key principle in personality development. “Each soul is potentially divine.” This divine core of our personality is covered by five dimensions. 1. Physical dimension which consists of body and senses. 3. Mental dimension characterized by the activities of three faculties of mind viz. thinking, feeling and willing. 4. Intellectual dimension characterized by the determinative faculty in a person the seat of discrimination and will power. 5. Blissful dimension experienced as bliss in deep sleep. Each succeeding dimension is subtler than the preceding one and pervades it. Personality development implies progressive identification with higher dimensions of personality. First faith in oneself then Faith in God is the secret of one’s success. If one believes that one’s real nature is the spirit - not the body and mind complex – one will be better personality with stronger character. One should stand firm in his aims in the face of failures or mistakes. We should develop our will power. Swami insists to make one more attempt even after thousand failures. Man is maker of his own destiny. All power is within. Swami Vivekananda says: ‘ We are responsible for what we are and whatever we wish ourselves to be, we have the power to make ourselves.